A man has to be many things to many people – a son, a partner, a husband, a parent, a grandparent, a co-worker, a boss, a leader, a provider and many other things too. So a man needs time to draw breath, to reflect, to learn, to enjoy, to praise, to fellowship. 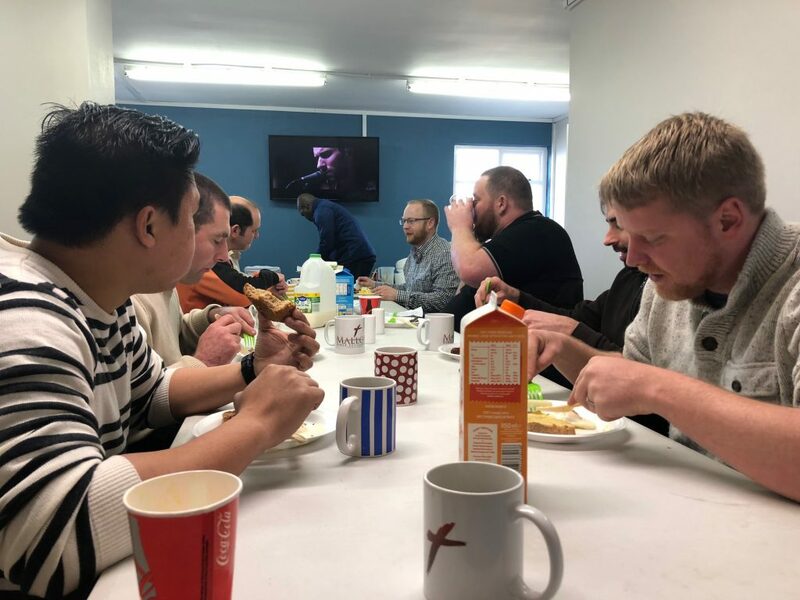 Our men’s meetings are designed to allow a man some time and space to do some of these things in the company of other, like-minded, Christian friends. We meet quarterly, usually on Saturday mornings. Our annual “Beast Feast”, a night celebrating various barbecued meats! You do not have to be a regular attendee at MBF to join us. If you are a man aged 18 or over and are comfortable in the company of Christian men, then contact Pastor Josh Steward on 083 1999513 for details and venue for our next event.